The legendary George Wein, founder of the CareFusion Jazz Festival New York, the Newport Jazz Festival, the Newport Folk Festival and the New Orleans Jazz and Heritage festival, will perform a selection with Spalding and Cohen. Anat Cohen is an Israeli jazz clarinetist, saxophonist and bandleader. Her debut album, Place & Time, was released in 2005 on Anzic Records. 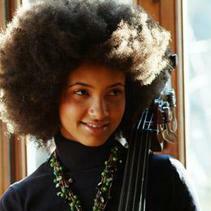 In 2007 she won the awards for Up and Coming Artist and Clarinetist of the Year from the Jazz Journalists Association. Cohen performs regularly and has appeared at a number of notable jazz festivals, such as the Montreal International Jazz Festival and the North Sea Jazz Festival. She also developed a notable work of research about Brazilian music, especially the Choro.